It isn’t often that a movie, any movie, gets under my skin. I mean really and truly got under my skin the way Requiem for a Dream got under my skin when I saw it. Hereditary was one of those movies. Under the category of “Horror”, Hereditary is something much more sinister and visceral than your average scary movie. Disturbing on a very different level than one would expect from the horror genre, Hereditary is a relentless emotional roller coaster, plastering audiences to their seats and never letting go until its insane final act. My girlfriend related the entire movie to the scene in A Clockwork Orange where his eyes are taped open so that he cannot look away. This is one of the first movies in any kind of recent memory, in which you could hear the audience breathe a huge sigh of relief when the end credits rolled. I saw a review this week that said they almost felt defiled and in need of a shower upon exiting the theater and I think this is a fair statement. As far as A24 and their track record with horror movies, they have left a lot to be desired in the past. Last year’s The Witch was a painfully slow and pretentious disappointment. This was followed by It Comes at Night which also was very underwhelming in my opinion despite rave reviews from critics. Hereditary succeed in all of the ways The Witch failed. While an extremely slow burn, Hereditary is never completely boring, and is never pretentious. The performances from the cast, Toni Collette in particular, are close to perfection and I would not be surprised if Collette even got the Oscar for this one. She should. This was a role where she had to slowly unravel emotionally, and it was one that could have been overacted and come off as over the top fake like most horror movie performances today. Even when the script starts to go off the rails in the final act, she never seems unconvincing, in fact the audience is along for the ride the entire way, never getting more information than the main characters. The film begins with the matriarch of the family, the grandmother, passing away, and the combination of the grief and relief this brings the entire family. There is Annie (Collette), her psychologist husband Steve (Byrne), their son Peter (Wolff), and daughter Charlie (Shapiro). Charlie is an odd kid and clearly an outcast. We learn that she has a fascination with arts and crafts involving dead animals, and shared the closest relationship to the grandmother who just passed. This eventually leads us down the supernatural path when Charlie begins to see Grandma around the house. I will warn you, as I stated earlier the film is extremely slow for about the first 50 minutes and crawls along at a snail-like pace. 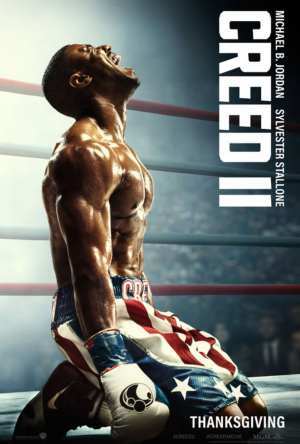 This is the only reason I did not give this movie a 5/5. However, director Ari Aster is a master at building suspense, then more suspense, and then more suspense, until finally culminating in an unspeakably horrific tragedy, and that’s all I can really say about that. It is worth mentioning that while the film is slow in the beginning, it is never boring, and there is enough compelling character development and plot to keep us interested and emotionally invested. This scene will undoubtedly send a few running for the doors, but is the catalyst that immerses us in terror and despair for the duration. The film goes from 0-120mph in an instant, and is relentlessness until its completely bonkers finale. Think Mother!, but done right, which will undoubtedly annoy some, but after really thinking about this movie I am strangely okay with. The director, Aster, brings us from a deep emotional human torment to more conventional horror elements in the end, transitioning into something much weirder and darker than expected. I hit a point about an hour into the movie where I said, “This isn’t horror, this is a horrific drama,” and I stand by this. Aster has taken something so deeply disturbing on a personal level for everyone watching, and turned human emotions into the root of what truly scares us. It is like watching a two-hour nightmare, even giving my girlfriend who is the biggest fan of the horror genre I know, an actual anxiety attack. The supernatural takes a back seat to the living people, only appearing after we are already almost beaten into emotional submission. From the production and cinematography aspects, to the dark string instrumental score that accompanies the film, everything is beautifully done. Aster is at the top of his game and there is not one detail missed here, the perfection almost mimicking the detailed miniatures Annie builds for a living. There are also elements, such as the relentless pulse of base in the score, that make us even more uncomfortable and disoriented while viewing the film. Aster has created an artistic achievement that is hard to watch even for the bravest of horror fans. Do not go into this film expecting to see anything that even closely resembles the “Insidious” type of horror movies that have become so popular. Films like Get Out and A Quiet Place have set a new standard in the genre and continue to change the way we view and think of horror. While everyone, including myself, still loves the over the top jump scares of the more traditional Conjuring series, films like Hereditary have birthed a new type of “scary movie”. This is Horror for the sophisticated; a dance between art-house and horror without being too full of itself, and I think that’s exciting. Hereditary, while deeply troubling and an uncomfortable overall viewing experience, is a new standard in horror and is well worth the shower you’re going to want after viewing. This one will stick with you long after the credits roll, and that is what makes a movie great. A lot of people are talking about this movie; they’re saying it is the scariest movie they’ve seen in years, some have even stated it’s ‘traumatic’ well were going to take a look at it right now. 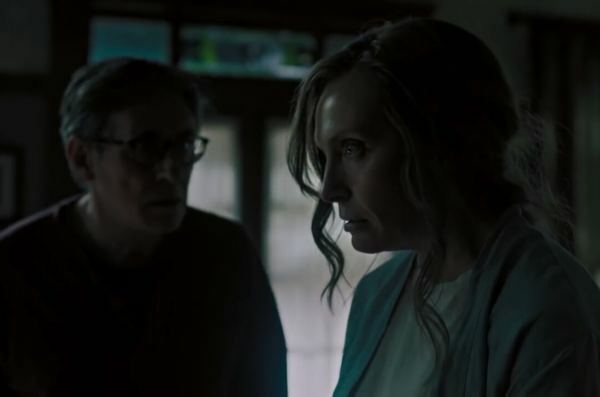 Hereditary follows the breakdown of an American Family after the death of the matriarch. A small family a Mother and Father, A Son and Daughter. This family is the main focus throughout the film while the spotlight is mainly taken up by the mother Annie Graham played by (Toni Colette), in a role where she seems bored. Annie is every psychological cliché rolled into character trying to come to grips with her mother’s death and embrace her family. I say this because, first off, Annie, our protagonist, is not likeable in any sense, we never care for her, while the director and actor went through great lengths to establish her flaws they clearly didn’t know when to stop as her flaws are exaggerated to the point of surreal absurdity. While she is the most vocal and active of the family that is sadly all I can say for the rest of the family. They live in her shadow and have no real development, the only development we get for Peter the son is through info dumps by Annie, unfortunately for the Father Steve, we receive no backstory and he plays no major role in the film. On the subject of structure is largely incoherent, it is a pretentious overindulgence; all flash and no substance. Others will try to convince you there’s something underneath yet everything is clearly said in the film, either through exposition or conveyed visually. Speaking of exposition, at random intervals of the film Annie will give massive amounts of exposition spreading intricate plot threads with no discernible payoffs, throughout the rest of the film were supposed to put the pieces together, only there are a few problems with this method. 1. Annie’s shtick becomes very annoying very fast. 2. Without proper identity the film tends to ‘borrow’ (and I use the term lightly) from other more recent Horror films. 3. At the end the story gives up on itself and instead of taking any real risk they seek a safe ending. There is no twist. Charlie has a little bit of the spotlight, the eccentric child, the film played as being the main protagonist. What the director’s goal in mind for this character I’m not sure but what came across on film was a sadistic, soulless, malevolent individual. Where we supposed to get behind this character? I ask all viewers to examine the character again and ask themselves, what did they like about her? Visually speaking this film is jaw dropping and the director is on to a very unique style, hopefully in the future they take more time to craft the story as well as the shots were crafted. All in all, Hereditary while it may be a visual masterclass, it’s a terrible horror film suffering from an incoherent plot, transparent characters, ludicrous overacting, jagged pacing, and an inability to reach out far enough to try its own thing, relying on to much of the past to push onto the future. Many say it’s the greatest horror film of our age. I say it’s a complication of scenes from the greatest horror films of our age, a greatest hits record of you will. I believe all horror fans and filmmakers should watch and say this is how not to do a horror film. Some have called Hereditary the next Exorcist. That’s like comparing a Ford Pinto to Cadillac, there both cars but that’s where the similarities stop the same can be said for the two movies, they’re both horror films but that is where the similarities stop. I completely agree! Such a waste of time! This film needs to be rated in the negative, far below 1. I was actually angry that I sat through the whole movie. I was just hoping it would get better. No plot, no twist… And the whole satanic thing in the end was just stupid. As a Christian I take offence to them rejecting the Trinity. If I had known it was a thinly disguised cheap satanic premise I never would have wasted my time. All the energy seemed to be put in the trailer, it was very deceitful to say the least.